OIF has launched the FlexE 2.1 project, which covers FlexE over 50Gbe PHY applications. It also adds an extension to the recently released FlexE 2.0 Interoperability Agreement (IA). FlexE 2.1 will specify a 50G FlexE frame and multiplexing format and will address Flex Ethernet (FlexE) applications with lower bandwidth needs and provide an implementation foundation for applications including the access layer of the future 5G mobile network. This new 50GbE support will extend the existing support for 100, 200 and 400GE in the just published FlexE 2.0 IA. 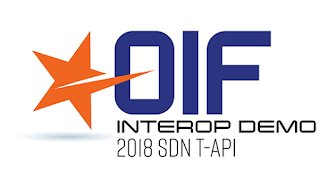 OIF expects possible large volume applications for channelization (5Gb/s granularity for minimum 10G clients) and bonding of 50GE PHYs in the future access layer/metro edge (based on IPRAN/PTN) of the 5G mobile backhaul network, FlexE implementation logic will be critical.